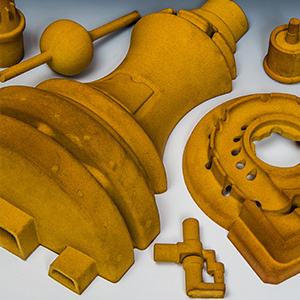 Whether you need large molds or very small cores, the team at Kore Mart is ready to deliver what you need. 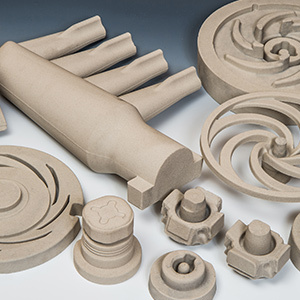 Since high-quality cores are essential for your production needs, we offer fast lead times, prototyping, and sampling. We have a wide range of high-production programmable logic controller (PLC) controlled core machines. We make shell cores, cold box, and Phenolic Urethane no bake (PUNB) cores. Our shell cores are made with Kure Rite resin coated sand. No bake cores use ambient conditions without the need for gas, vapor, or heat. 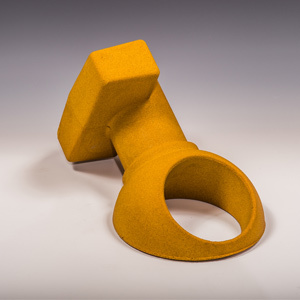 Ideal for loop system production, "no bake" offers several advantages, such as variable cure times, a good resin storage life, and optimal sand flowability. We also consider travel distance and safety. We'll carefully package your core and insulate it to ensure a safe delivery. When quality matters, make Kore Mart your top choice for your core making needs. We're committed to becoming your dedicated partner and go-to source for everything you need to maintain your production demands and quality standards. Contact us today for more information on our core making capabilities.